Tobacco is a dirty weed. I like it. It satisfies no normal need. I like it. In honor of the largest cigarette tax hike in history, we look at the etiquette of smoking. A pack of cigarettes cost $0.15/pack for premium brands in 1920, $1.59 in today's money. Tomorrow a pack of cigarettes in Washington will cost approximately $6.00. The etiquette of smoking has been replaced by the laws of smoking in 2009. Smoking—that is to say, the smoking of men—hardly comes under the rules of etiquette, most men will declare. It is second nature, so incessant and inevitable a companion to man that few would bear an argument on the subject of its hygienic properties, or its propriety. But aside from health and propriety, it must be admitted that there are times and places when and where men should not smoke. The modification of old- fashioned rules in this regard has made the lines faint, it is true, and there is no book on etiquette that does not reprehend as "unbecoming a gentleman" smoking in drawing-rooms, boudoirs, dining-rooms, restaurants, where now men not only are allowed, and invited, to smoke, but where highly respectable women have been known to join them. Gentlemen in this country do smoke, when at home, in the drawing-room and dining-room j there is no doubt about that; that is, when the women of the family do not object. Most women have a decided objection to bedroom smoking; and it is not a wise practice, on any account, to use up the freshness of bedroom air. But putting aside old-fashioned prejudices, and out- of-date "notions" as many sensible dislikes of women are called—a man should never smoke anywhere, without first assuring himself that it is not disagreeable to the ladies in the room, and in the house. A gentleman paying an afternoon visit should not smoke unless others begin; and even then it should be some one in authority, and not a younger brother, for instance, or a "cheeky" caller who leads him on. He should never smoke before the ladies have left the dining-room, except in unusual instances; he should not smoke when any one—with a real voice—is singing, for tobacco smoke is death to vocal success and causes great discomfort to singers, whose throats, being highly trained, are proverbially sensitive. 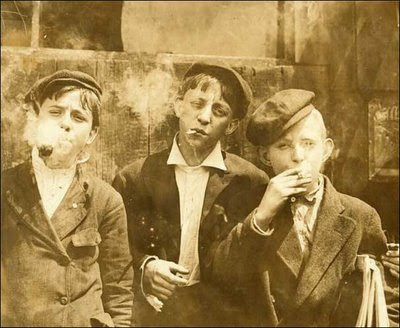 Smoking in the streets is allowed, and cannot be checked, since rules do not reach the masses, unless enforced by police regulations. An American gentleman does not smoke when he is walking with a lady, or where he is likely to meet a lady. No one but a sensitive woman knows how unpleasant it is in a crowded thoroughfare to walk exactly behind a man whose cigar is not of a high order; and men are sometimes cognizant of this fact, but rarely. No man on earth should smoke— anywhere on earth—who can not do so without spitting. This is an infallible cast-iron rule; it, being interpreted, means that no one should ever spit. If moments occur when there is necessity for ejecting anything from the mouth the process should be performed, as washing the hands is performed, in private. The spitting habit is the curse of the American people. The spittoon—in a bar-room—is abomination enough; the decorated as an affected and misguided custom once named the thing in a house, is anathema maranatha. No words are harsh enough with which to condemn it. A man who can not live without spitting should take to the woods, and reside there alone, forever. And then he is not good enough for the beasts that roam there. The smoking of women, it comes hard to be forced to admit into a regular treatise on customs; but reluctantly as we may admit it, women, and women in America—in certain sets—do smoke. As a question of taste, it admits of no discussion. It is a sad mistake, from beginning to end. As a question of fact, it unfortunately also admits of none. At first—a few years ago—smoking among women was treated as a sort of lark or joke among girls who "didn't mean anything." Statistics of an informal collecting then showed that the habit was settling, and on the increase. In certain cities it is now regarded as the regular thing; and almost everywhere the sense of shock has been replaced by one of toleration. The etiquette of smoking among women has not reached the stage when it permits the habit to be publicly indulged. Women are obliged to smoke in corners, when they are at clubs or races. How long this state of things will continue it is impossible to say. At the present rate of progress, women and young girls will be smoking in the streets with men. It is a horror and a crying shame; for the debasing character of the custom will inevitably destroy the delicacy of women. As for men's smoking, laxity in regard to that is a necessary result of the smoking of women. Men may not at present smoke in railway cars of the mixed variety, in the theaters, or in church. They smoke in many restaurants now, and will be allowed to do so in more. Excessive smoking comes under the head of hygiene, and has no place in a social treatise. Woman of fashion. Etiquette for Americans. Chicago: H.S. Stone & Company, 1898. National Photograph Company. 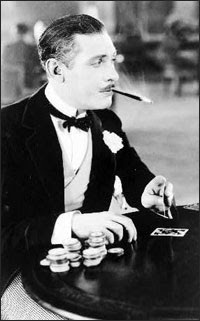 "[Man, with cigarette holder in mouth, playing cards]" Photograph. c1930. From Library of Congress: National Photo Company Collection. http://hdl.loc.gov/loc.pnp/cph.3c06964 (accessed March 19, 2009). Guerin, Fritz W., photographer. 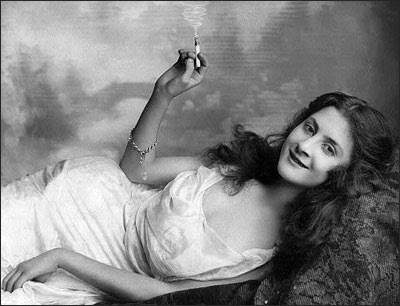 "[Young woman lying on sofa and holding burning cigarette.]" Photograph. c1902. From Library of Congress Prints and Photographs Division. 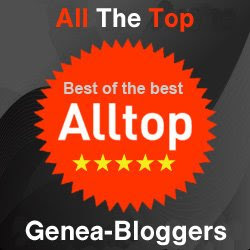 http://hdl.loc.gov/loc.pnp/cph.3b21600. (accessed March 19, 2009). I have lived with cigar-smoking males my entire life, and concur with your fM "Excessive smoking comes under the head of hygiene, and has no place in a social treatise." A nice cherry tobacco has its place OUT OF DOORS, but within the confines of four walls, it is certainly TOO MUCH. Thank you for a most helpful and informative discussion of this social situation. You are as always, correct Miss Dreadful.